Today at 1100 UTC, new leaders Franck Cammas and Groupama 4 have a clear advantage over the rest of the Volvo Ocean Race fleet are enjoying true trade wind sailing at its best, having stormed into the lead at 0700 UTC this morning. 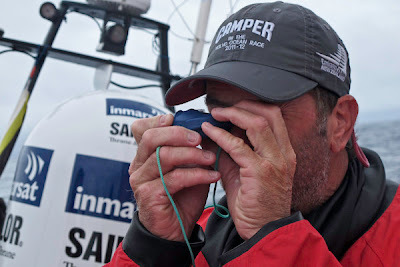 Meanwhile, the rest of the fleet has headwinds to contend with that are likely to stay with them for the next few days. 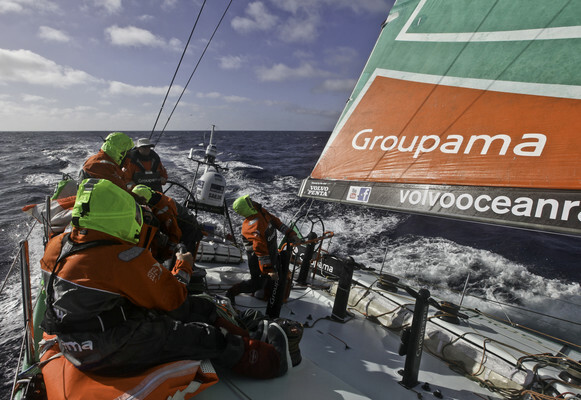 It is Groupama's position to the east that has eventually paid dividends as the boat comfortably beam reaches in the lead at high speed. A tropical depression to the west of the fleet is responsible for introducing a more northerly component to the usual east-southeasterly trade winds normally associated with this region and the chasing pack, currently 162 nautical miles (nm) to the west of Groupama 4, is suffering due to this. Although Telefónica (Iker Martínez/ESP), PUMA's Mar Mostro (Ken Read/USA), CAMPER (Chris Nicholson/AUS) and Abu Dhabi Ocean Racing (Ian Walker/GBR) have better wind strength, their angle to the breeze is much less favourable and it is likely to remain so for the next two days. 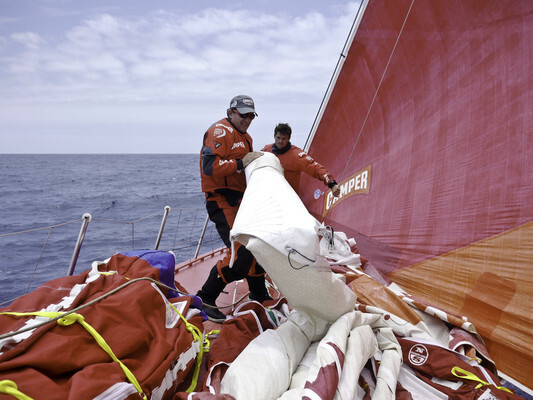 "Our old friend 'upwind' has come to play again," writes Hamish Hooper from CAMPER (Chris Nicholson/AUS). "After days of relatively easy and smooth motion, it is back to 'bronco' mode down below." 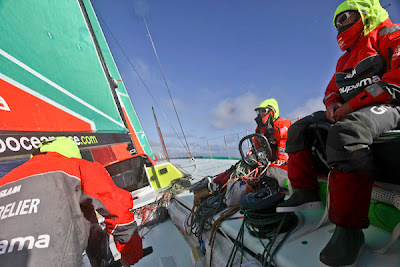 The next hurdle the fleet will face will be the crossing of the Doldrum-belt in the next two days. The East African Exclusion Zone, put in place by race organisers to keep the fleet away from the threat of piracy, will mean the fleet is likely to cross the Doldrums nearer to their eastern end. Meanwhile Team Sanya have arrived in the southeast of Madagascar, where the team will meet with their shore crew and mast experts to repair the rig, which was damaged early Monday morning. 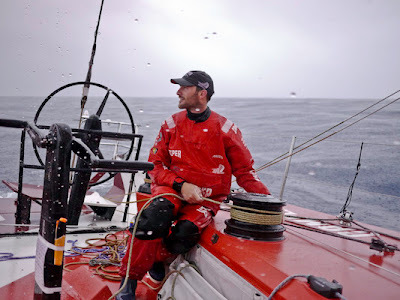 The team suspended racing at 0807 UTC this morning. Tornado Hitting 30 Knots - Wicked!! !